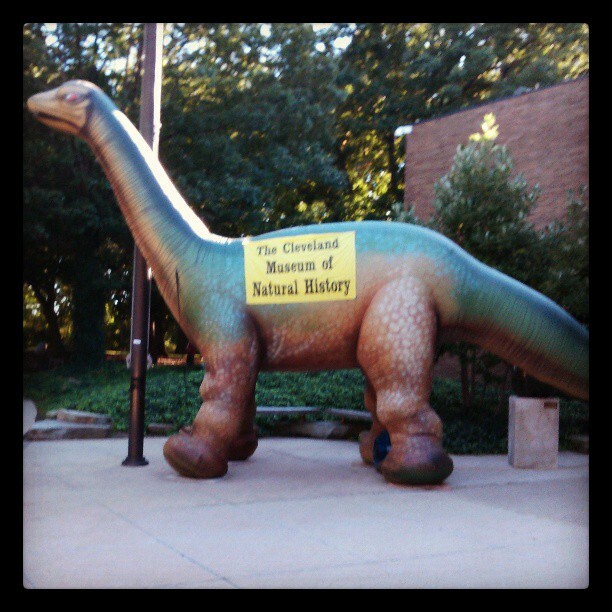 For the past week, I have been in Cleveland, Ohio collecting my thesis data at the Cleveland Museum of Natural History. I am using the Hamann-Todd human skeletal collection to investigate dental health of Cleveland’s lower class in the early 1900s. When I submitted my research request to the CMNH, to do research for two weeks, I did not realize how long two weeks in a different city really was. I am a relatively poor college student and wanted to save as much money during my visit as possible, but also enjoy my time in Cleveland. Renting a hotel room for two weeks would have cost me hundreds of dollars, so I checked with family and friends to see if there was someone I could stay with in town. Luckily, my mom had work friends who lived here and they graciously allowed me to stay with them during my visit. While they do not live extremely close to the CMNH, the amount that I have spent in gas is significantly less than what I would have spent on a hotel room. In order to limit the money that I have to spend on food, I stocked up on snacks and have packed my breakfast and lunch everyday. Honestly, I was very lucky to stay with family friends (whose children have left for college) because they love having me around and cooking for me (how did I get so lucky?!?). The money that I have saved has allowed me to do some pretty cool things while I have been here. 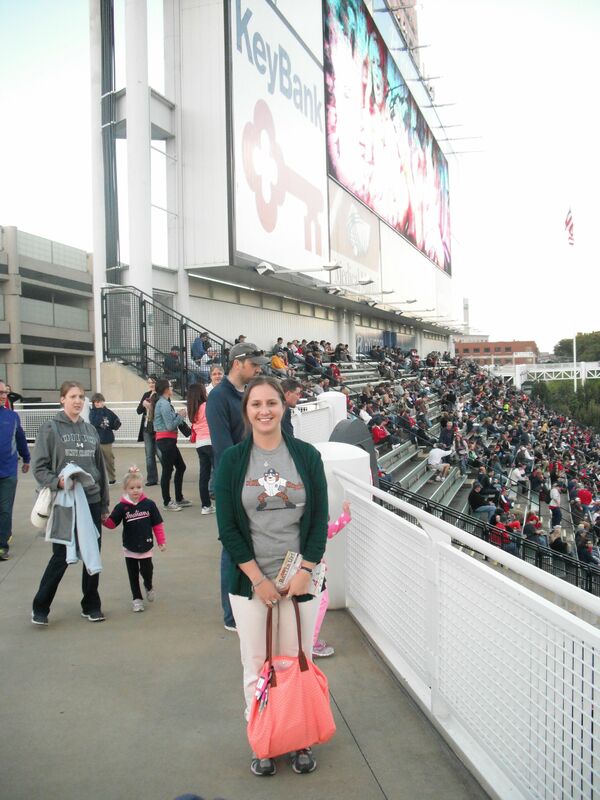 I got to go to a Cleveland Indians home game (and yes I did wear a Detroit Tigers shirt), and I hope to go to the Rock and Roll Hall of Fame next week. I have also enjoyed the freedom the museum has given me to roam around. They just reopened their human/primate evolution exhibit and I came face to face with a reconstructed Lucy. I love having lunch in (what I call) the animal room, but also in the break room where I can learn about what work is being done at the CMNH. I even met one security guard who also looked at dental health and is willing to collaborate with me! I spend my days looking at teeth (with bad dental health), in the same room as the collections manager, Lyman. I have had a blast getting to know him and picking his brain about the collection (since he has been managing it for over 30 years). One day I asked him if he knew of any good sources that would discuss more about the composition of the collection, so I could get a better understanding of who these people were during their life. He went to a cabinet by his desk and pulled out a huge, dusty binder. He went on to tell me that this was the one and only copy of the dissertation of Dr. William M. Cobb from 1932, which investigated the history of all of these individual (including place of birth, how long they lived in Cleveland, occupation, and even how many radios they owned!). I spent the next several days pouring over the information about these individuals that I could have never expected to find, and would have never found if I would not have asked. If there is one thing that I have learned while here, it is that academics want to help further knowledge and will help to do that to the best of their ability. I could never have expected to have so much support by individuals who I met face to face less than a week ago. I am very excited to finish gathering data and return to WMU to analyze it all. Oh, and of course write my thesis! I know that at some point, I will return to Cleveland to do more research on the collection and see all of the amazing friends that I have made while here. I do not think that I could have had a better first week in Cleveland, and can’t wait for my next one!